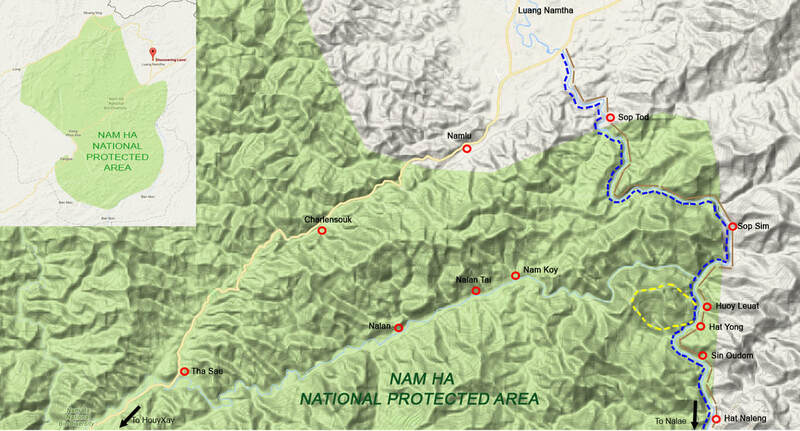 Kayaking - 2 days (Namtha River) - Trekking in Luang Namtha, Laos - Hiking, Kayaking, Cycling, Village Tours - Discovering Laos! 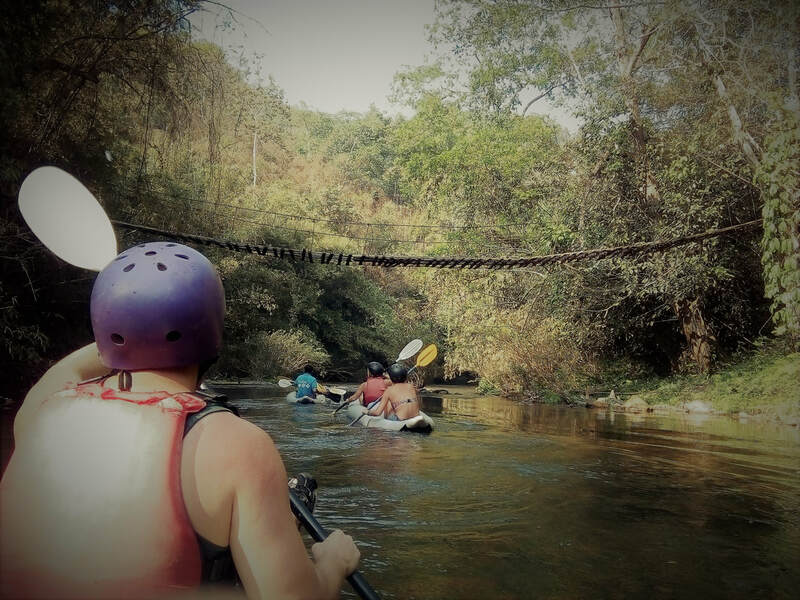 Great for daring water warriors who have the irresistable urge to tackle the largest river in the Luang Namtha province! After a couple hours of fun and exploration we moor at the riverbank of Sop Tud village of the Lantan village. Here you have a unique opportunity to witness the minority people at work on their truly fascinating handcraft projects. Paddling downriver we soon reach a cascade of rousing rapids, after which the current slows to reveal the perfect riverside location for a delicious Lao-style picnic. After lunch the mighty Namtha river carries us through a dramatic series of rapids and past several quaint Khmu villages. Before, at last, we reach our home for the night: the Khmu village of Houy Leuat. After meeting the locals and taking a tour of the village, we have the chance to take some rest, swim in the river, or explore the local area. 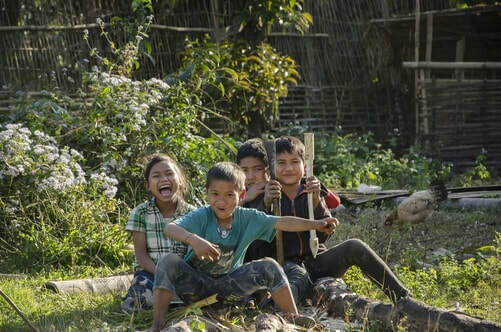 At 7:00pm a traditional Lao lunch will be served by our ever-attentive guides, after which feel free to retire to your homestay or eco-lodge for relaxation or spend a few hours socializing with the locals. lands and secondary jungle. Along the way we have the chance to stop off at delightful Khmu villages, dotted seamlessly along the riverbanks. After paddling further downriver enjoying the passing scenery we soon come upon a scenic riverside picnic spot, where we stop for a mouthwatering Lao picnic. The price ranges from $53/person (USD) for 8+ Pax to $163/person (USD) for 1 Pax. Note: Warm clothes for the evening and night is strongly advisable during the winter between Oct-March and especially to change into for the tuk-tuk ride back to the office.